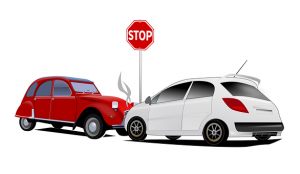 Fall River, MA (June 27, 2018) – A two car collision occurring in Fall River, Massachusetts Tuesday night sent at least two people to the hospital with injuries. Fall River police responded to a report of an accident at the corner of Robeson and Hood Streets on Tuesday evening. At least one of the cars involved in the collision was a Honda Civic. The crash took place at an intersection controlled by a stop sign, but police have not definitively stated whether either driver failed to stop or yield for the other. No cause of the collision has been established. The Fall River police along with Fall River EMS responded quickly to the crash scene. Two injured victims were treated and then taken to the hospital via ambulance. The injuries were serious but not life-threatening. This accident remains under further investigation. No word on whether charges will be issued for either driver as a result of the crash.